Unfortunately. 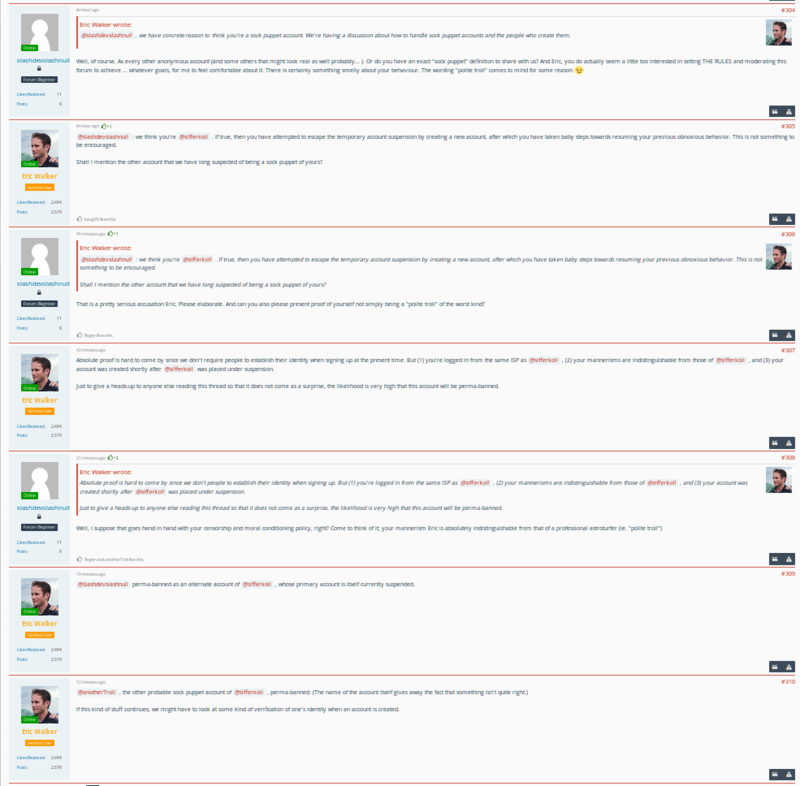 The flow of libelous posts on JONP had stopped but, sad to say, it seems to have started up again. Sifferkoll is echoed on JONP. This is long and detailed. Unless a reader is interested in the massive flabber generated on Sifferkoll’s blog, and implications, including evidence that Sifferkoll is being directly deceptive, I suggest skipping this. Do We See even more Indications of Eric Walker being an Anti-LENR Astroturfing Professional? Rossi approves posts to JONP, and that was not a “clarifying link,” it was a link to libelous FUD and confusion. I do not suspect Sifferkoll of being paid, but he’s crazy and malicious. I know the field well and nobody is being paid to blog, with these exceptions: Steve Krivit is paid by someone, not Industrial Heat; I have my suspicions, but they are beside the point here. I am not paid, but my expenses are to an extent covered, most recently by a GoFundMe campaign that allowed me to travel to Florida to cover the Rossi v. Darden trial, to Washington DC to talk with scientists, and more travel is expected. Eric Walker is a volunteer, known to the LENR community long before he became a moderator on LENR Forum. He has hosted the Rossi v. Darden files, downloading them at his own expense, declining support. So what is this new Sifferkoll barrage about? Sifferkoll had been focusing on libelling Cherokee by presenting highly distorted inferences about their behavior. I have addressed many of the claims and have stopped looking into them, because there was never anything there. If someone thinks that there is a plausible claim that Cherokee is what Sifferkoll is claiming, a deceptive scam, please ask specifically and I’ll look at it. Mostly Sifferkoll finds things he doesn’t understand and then interprets them with high scorn and mudslinging. Here, however, he also mentions me and others. Who is this Eric Walker Guy? Is he an Astroturfing Pro? Or … is He Simply an “Useful Idiot”? It seems that Eric is a believer of some obscure religious sect (an islam offspring called Bahia). And since before we know that Abd is a islam convert… Is it a sign that LENR critics and pseudo sceptics are also often religious fundamentalists (incl christian)? Well, maybe not, but only thinking about it gives me the creeps. I don’t know Eric’s religion but the Baha’i faith is not “obscure.” Yes, one can call it an descendant of Islam, but one can call Islam a descendant of Christianity, and Christianity a descendant of Judaism. None of these affiliations makes one a “fundamentalist.” Sifferkoll gets the creeps reading the phone directory. Religious attacks, as well as other groundless accusations, have been part of his modus operandi. I know a fair amount about the Baha’i faith. I have also had extensive correspondence with Walker. I recall no evidence at all that he was Baha’i, so he doesn’t wear it on his shoulder. There is nothing sinister here in the least. 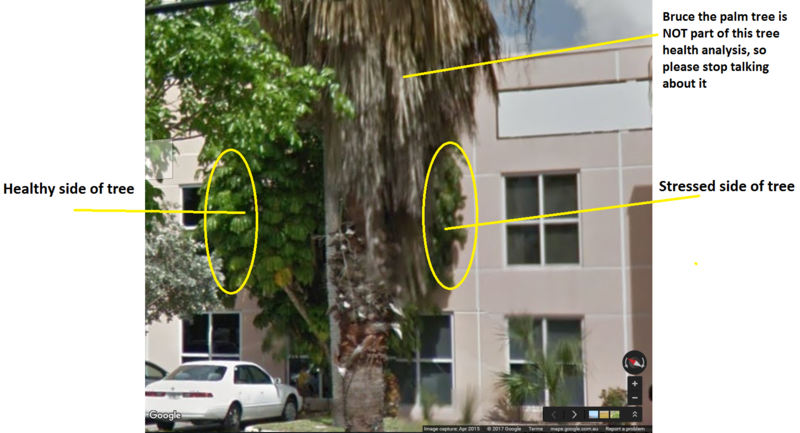 Did Walker actually move to Israel, where the Center is located? Or did he work on-line, perhaps as a volunteer? This might just be a resume-filler. Walker appears to have an extensive self-employment history (like me and like Sifferkoll). The discussion on that Sifferkoll post takes the cake. I’m accused of being a “crypto-salafi/wahhabi.” I have a long history of discussion of islam on the internet, including exposing the so-called “salafi” heresy. That accusation came from Keieueue, a fanatic Rossi “supporter.” Honestly, one of the strongest steps Rossi could take would be to distance himself from these fanatics. Keieueue is permanently banned on LENR Forum, for very obvious reasons. Sifferkoll is not — yet — permanently banned, just suspended, also for obvious reasons. Sifferkoll calls Eric Walker “top-moderator-guy.” Actually, Walker is merely a moderator. The “top” would be those with access to the raw web site, those who can assign and remove privileges. Walker is clearly operating with the consent of the moderation/administration team. I’m banned on LENR Forum. What does that prove? Sifferkoll is convinced that there is a huge and well-funded conspiracy to suppress Rossi and LENR. Since he is convinced, he searches for proof. Believers of all kinds do this, and pseudoskeptics are negative believers, they believe others are wrong. In some people, this reaches literally insane extremes. 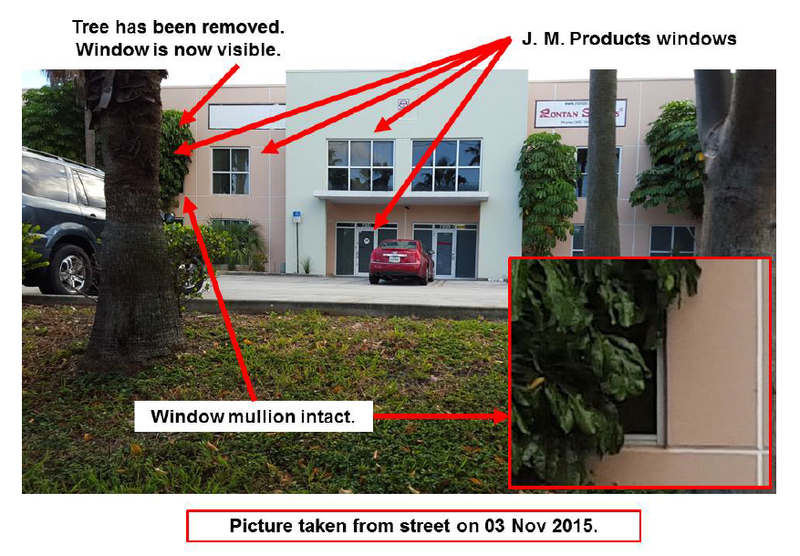 A believer will see irrefutable proof when someone not attached will see … a slight difference in tint — if any — in some leaves on a tree outside a window in the mezzanine at the Doral Plant. Proof that there was a heat exchanger! That whole discussion is so complex I’m not sure if he’s got the right window. Maybe. (This was Engineer48, not Sifferkoll). (However, another image of the tree from November, 2015. The Engineer48 image was from April, 2015.) Now, where were we? Of course “we” do. Sifferkoll will be seeing these kinds of things until he stops breathing. I went through a schizophrenic break in my early twenties, I know what it’s like. The world is filled with intense meaning. In my later training, a distinction communicated is that “the human being is a meaning-making machine.” It’s a major brain function, we look at patterns and infer more patterns. It can’t be turned off, not while awake, though some drugs can suppress it, but we can learn to recognize the difference between a sensory pattern and an inferred meaning. The latter are often imaginary, not grounded. They tends to disappear when closely examined (or deeper patterns are revealed). How to tell the difference? Calm down and keep looking! The instant pattern-recognition machinery is there to protect us, but once we recognize that there is no immediate danger, and calm the mind, much deeper processes can rise to the surface, and they do. Paranoia is a condition where the meaning developed has intense emotional power. A Vast Conspiracy! Proof! To see a genuine conspiracy and distinguish it from fantasy takes far deeper analysis and intelligence, not merely the knee-jerk pattern recognition of a paranoid. So what does Sifferkoll see as “even more indications”? First some reflections on the Rossi-IH settlement. Dewey disappearing into the void was sort of predictable. When there was nothing left to gain for him making his “thing” he launched into another unknown orbit … Hi did what he was paid for and that is all there is to it. This is irrelevant to his theme. However, this is typical: lack of evidence is taken as if it were proof of something. Dewey has mostly stopped commenting. I intend to be in touch with him and I know he is still in communication with LENR researchers. That’s his actual job, he’s contracted to do it, and the evidence about Dewey in Rossi v. Darden shows him doing his job, presented with Levi’s overheated paranoia. I knew Levi was a bit off, but his “unsigned declaration” revealed far more and his reaction to the email to Bo Hoistad — a fairly simple communication on the face — was a deeper demonstration. If people are interested, read the documents. Dewey is an investor in IH. That means that he put in money, not the reverse. He also is a contractor, doing what he does professionally, work with inventors (and scientists). There is no question that Dewey has a “conflict of interest.” There is also no sign that he was paid to comment on blogs. Dewey is opinionated and expressive. He was cut some slack on LENR Forum as a “principal.” The same is done for at least one possible Rossi sock (or “meat puppet” to use the delicate Wikipedia language), ele. As with any public media, public figures may be more freely criticized than private. To a fanatic like Sifferkoll, though, making the distinction proves something. What it proves is clear to a fanatic. Abd and Jed are both a bit more complicated. They both probably believe they are doing the right thing, but on limited information – need to know basis. Sifferkoll commonly mind-reads. My ontology actually sets aside “right.” I do what I do, and I value honesty, sharing knowledge (my experience) and opinion (what I think), as well as distinguishing between the two. Blog posts are heavy on opinion, it’s the medium, but I also share, generally, the basis for the opinions. Sifferkoll does the same, but his basis is often unattributed. Instead of linking to posts, he presents a screengrab image, which cannot then easily be copied, he doesn’t give links, in general. It’s a PITA to verify and deconstruct his stuff, often. Jed Rothwell is a long-time supporter of LENR, working many, many hours as a volunteer, building lenr-canr.org and sometimes funding research. With his own money. Both of us know things that we are not free to share, because we communicate privately with major figures in the field, and they sometimes ask for confidentiality. However, nothing I know, if revealed, would show the kind of conspiracy Sifferkoll suggests. Based on long communication with Rothwell, I suspect the same for him. What has happened in many cases is that some comment has a possible interpretation that is seized on and then promoted as “truth.” I’ve been accused of being a paid astroturfer many times, much of this originating in Sifferkoll claims that were so thin that I could simply call them “lies,” except I think Sifferkoll probably believes this crap. So calling him a “liar” would be a kind of compliment. In this case, Sifferkoll is being, it appears, deliberately deceptive by not telling the whole truth. In court, this would be perjury. There were a couple of examples in the case documents, presented under oath, where Rossi may have strayed over that line. Mostly, Rossi plays with ambiguity and the creation of plausible deniability. “I never said,” even though what he said led everyone to believe what he didn’t say. Rossi presents plans as if they were realized fact, there are many examples. It’s a personality trait. However, key would be the intention of the communication, not the literal words. And by that standard, Rossi is shown in the documents to be a liar. And the jury would have seen that, hence I strongly suspect that Lukacs, the newest and most experienced member of the Rossi team, saw the danger to his client and intervened to reduce the hazard. I do not expect that whatever settlement they reached was “victory” for Rossi, beyond escaping the consequences of what he’d done. In that sense, it must have been an incredible relief. He gets to continue to live out his fantasies, and to play tennis with his beautiful wife. They have probably been played. By what? I have received very limited confidential information, I confirmed it independently, and then reported it. This is the same as any reporter. I do not depend on confidential information for any significant position I take. All of what I’ve written, for example, about Cherokee Investment Partners, correcting the imprecations of Sifferkoll, often repeated by others, is from public documents and knowledge of how LLCs operate and standard business principles. I have never been contacted by anyone connected with Cherokee or Industrial Heat regarding this. No critique, no encouragement, nada. Jed, again, came to his conclusions about Rossi from Rossi himself, with whom he had direct communication, from the Penon data — he had received a copy of that data from a preliminary report, — and from public documents. Dewey has long ranted about Rossi, and this has had no influence on me, nor any visible influence on what Jed wrote. The data, Jed claims, came from Rossi himself. It is likely that Rossi shared it with some people, and one forwarded it. Here is a possibility, I’ve never asked Jed about it, it is not impossible that this data was forwarded, by Rossi, to someone who gave it to IH and IH forwarded it to Jed. That is about the limit of what I could imagine consistently with the known facts. Jed would know, and if this speculation is fact, he would not be free to reveal it, and it is actually irrelevant here. At worst, IH shared valid information. As soon as the Murray questions for Penon were available, what Jed was reporting was confirmed and when Penon data was published, it was completely over. Jed’s comments were founded in fact, no matter how he got the information. That information is shared, among human beings on Planet Earth, is simply what people do. That little piece of activity, if it happened, was almost cost-free and not outside of ethics. And it could have been anyone that shared the data with Jed, it could have been through many hands. Jed has serious problems with Rossi as a character but I think it is starting to dawn on him that Rossi and IH made some kind of deal and that the whole affair is not black and white. We will see him scale down and focus in LENR as a whole. It is already happening. His issue with Rossi are mainly personal. Again, Sifferkoll mind-reading. I see no sign of this. No affair is “black and white,” though some claims are “open and shut.” Rossi lies, for example, Pace had very cleanly set this up with the jury and I know the facts behind the Pace claims. He was going to set those screws and counter-sink them, and he had the tools and the torque. On the other side, Chaiken had vague claims of vague import, that even if completely true (and they may have been) were meaningless. This was supported by an illegible timeline. (I did not expect this level of incompetence from Rossi counsel, particularly from Chaiken.) Cherokee provided some initial support for IH, and some level of continued support. However, IH claimed that they reimbursed Cherokee for all costs. A CEO of a corporation has a private project, of peripheral relevance to the corporate purposes, and uses his office facilities or obtains a personal loan. Happens all the time. The IRS will want to see that costs are reimbursed and interest is paid or that corporate purpose was served. In this case, I’d bet, interest was paid. This would be routine accounting, trivial, and Fogelman, the Cherokee/IH/IPH accountant, does not appear to have been asked this question, AFAIK. As to focus, both Jed and I, it is easy to predict, will take our focus away from the Rossi fiasco toward LENR. This has nothing to do with “astroturfing,” and nothing to do with Eric Walker. News at 10: Pope Catholic! Abd also seem to come to his senses to some degree after visiting Miami. I believe he is starting to realize that the E-Cat QX actually could be real (since Darden seem to do so – Abd probably noticed this in Miami when meeting him) and that it is in his best interest to adopt this possibly-real-QX point of view. No. My position all along has been that it is not impossible that Rossi has a real technology. What the case shows, however, is that Rossi lies, or, specifically, presents ideas and plans as if already realized. So “Rossi Says” is unreliable, and there is extremely little evidence on this QX point, that there is a “real technology” here. There is perhaps something very hot, but this can happen with no excess heat, and little input power. The report of the Swedish PhD candidate simply shows what has long been clear: Rossi can persuade scientists (in this case, a student) to report as fact what wasn’t fact, but appearance, perhaps carefully-managed appearance. I recently talked with scientists who saw pre-2011 demonstrations. These happened to have been done reasonably carefully, and what they saw was “nothing.” This has all been reported elsewhere: Rossi was invited to come back and never came back. We know about the Hydro Fusion test from two sources: Mats Lewan, and the Rossi explanation to IH in a 2012 email. Someone is lying! Or, my hypothesis: Rossi doesn’t distinguish between his own fantasies and reality. He says what he wants people to think, and doesn’t think of this as lying. It’s a particular kind of psychopathology that is not terribly far from normal behavior. Some Rossi followers were amazed that I did not behave as if I hated Rossi. I don’t hate Rossi, even though I dislike the waste of LENR investment funds, and I also don’t hate Dewey Weaver, and I don’t hate weasels, either, or rats or beavers or, for that matter, loons. Here are some predictions on the settlement. This, again, has nothing to do with the declared theme. But I’ll look at it anyway. Rossi has the full IP ownership. This was the single most important issue for him and he would never leave without it. His work will belong to him. This is possible, but may be in conflict with another prediction. As I’ve written, this is possible because there could have been a prior rejected offer involving return of the License, for $X. As Sifferkoll points out, it had to be simple. However, so far, we have no evidence on this. Presumably it will eventually become clear, at least the License situation must be resolved for Rossi to move on. The default, clear in Court, is that nothing changed, the License Agreement was still in place; what the open settlement involved was an irrevocable surrender of all claims of prior breach or ongoing breach. The License would remain enforceable as to any new breaches or payments due, unless there is private agreement to the contrary. There are loons on E-Cat World claiming that this is preposterous, IH didn’t pay the “rent,” i.e., the $89 million, therefore the License has been cancelled. Or is that insulting loons? IH still have some, rewritten and now bulletproof IP-wise, sort of license agreement. Probably of a geographical kind, incl some manufacturing rights and still covering huge markets. E-Cat QX is part of the deal. IH knows the QX works. There is no doubt about it. And, of course, the technology is superior so there is no need to argue about the older stuff anymore. Yes, some kind of continued license, some compromise, is possible. However, I see no evidence that “IH knows the QX works,” no evidence that IH consultants have been allowed to see it, not even claims from Rossi. This is Sifferkoll projecting his own ideas onto IH. Remember, I’ve met the parties. This position would represent a radical change of mind on the part of Darden. He knows that Rossi was deceptive, he’d been dealing with it for years. Why would this suddenly turn around because of a new claim? What happened in Court was a decision by both parties to trust private negotiation, instead of public combat. This is completely consistent with what I saw in Court and what Rossi has written recently, and the very small level of private communication I have had with parties. The full settlement was to be negotiated. It did not exist when the case was dismissed with prejudice. There may have been round outlines, but these were not part of the dismissal itself, it was terminally simple. I also believe it is part of the deal to not argue anymore about the GPT, partly to save face. It is now history and both parties will be looking ahead. Confidentiality is almost certainly part of a settlement agreement, and, remember, confidentiality was part of the License Agreement from the beginning. The trolls that keep arguing about this are not IH people but the pure anti-LENR crew wanting to produce FUD. The “pure anti-LENR crew” would be pseudoskepics like Mary Yugo, who are long-term and it is highly unlikely they are paid by anyone. These show every sign of being volunteers with a dedicated mission of “I’m right, you are wrong.” However, Sifferkoll is missing the other side, Rossi supporters who are arguing endlessly without any clear evidence, absolutely convinced that they are right and everyone who disagrees is wrong and stupid or deluded. And Sifferkoll is in that class, himself. I haven’t looked at Steve Krivit lately. So I looked. No news since June 6, 2017. Only minor cash changed hands, if any. Although Rossi will have a nice percentage on all future sales up to a billion or so, on the IH markets. Then normal royalties. However, it’s quite possible the settlement agreement involves no cash exchange. If so, it was probably a former settlement offer morphed in some way. That’s about it. It needed to be simple to work. And now back to the real enemies of LENR. I believe there are four major ones. Actually, he misses the truly major one. It often escapes notice; this is something it took me a few years of involvement to understand. Academics – the fundamental hot fusionistas. Everything they stand for is threatened. Not only funding. They will do anything to take LENR out. Most academics have no clue about LENR. Hot fusion researchers very naturally felt the burn when there was an idea that funding might be diverted from their very expensive Big Science projects, employing many physicists, into cold fusion. That was all dumb. Cold fusion was not — yet — a threat. Long term, yes. A major threat, but … only a threat of money being poured into what they see as total nonsense. If there is a single physicist opposing cold fusion because he believes it is real, I’d be amazed. Cold fusion does not, as often claimed, threaten “standard physics.” That’s based on early misunderstandings. We don’t know the mechanism, so it is not known if it involves “new physics,” which would certainly be an extension of prior understanding, exceptions not previously considered or explored. This myth of “overturns mainstream physics” is part of the myth that supported and continues to support opposition. Business entities. Not really oil & gas per se (they are paying attention and making business plans though), but more so the AGW agenda that are more or less completely tax-funded. This funding will disappear with LENR and this whole global “green” hugely profitable political agenda is threatened. The fear of climate change is their livelihood and they will fight for it to to the end. It is a huge industry. Smart business will see change coming and will plan to profit from it. Attempting to suppress change is a formula for failure. Some of the support for cold fusion research has come from the “energy industry.” Some business is not smart, but unsmart business, wrt cold fusion, assumes it isn’t real and is not going to spend money to prove what they think is obvious. Sifferkoll comes up with naive ideas and feverishly looks for evidence for them. Do that and you will find “evidence,” like clockwork. Look for evidence that the moon landings were not real: look, that flag is moving! Proof! Fake! Geopolitical concerns – mainly US government entities that want to seize control and slow everything down. In order to use the shift in a most favorable way politically. Religious entities. Oil is perhaps what makes the mid-east wheels turning more than anything. Including religious fundamentalism of the Islam kind. Maybe there are also some other religious/political entities that believe they need to stop cheap energy since it will increase freedom for individuals on every level. Increased individual freedom is rarely part of political/religious agendas. Control is everything. Pure hogwash. I have seen no clue of anything like this. Sifferkoll is hostile to religion and the like, and that’s why he goes for this. Fanatics claim the name and mantle of religion for themselves, and fanatics do seek control, that’s all. “Fundamentalism” is a movement found in all religions, not just Islam. Fundamentalism is not, per se, fanatic, but from among fundamentalists come small fanatic groups that go far beyond the “fundamentals” of religion into heretical interpretations that are actually modern, for the most part, or where these can be found in the past, it’s among heretics who were excluded from the mainstream. These people are described in the Qur’an, and it’s not pretty, there is almost no hope for these people, because of their arrogance and hatred. And that is the mainstream Muslim response to them, they are heavily rejected. And they kill those who reject them, when they have the power to do so. They would kill me first (and there were bomb threats, many years ago). Sifferkoll has no idea what he’s writing about. So what strategy will be used. Mainly FUD and uncertainties. And as much as possible to disrupt anyone trying to take the technology to the market … and to silence those voices that reveal this obvious agenda. They will try to stop any R&D and if not possible they will try to contain it in small controllable institutions where they control financing, and they will ensure it will make only small or no progress. “Small institutions” is how normal research takes place. What Sifferkoll is doing is casting suspicion on anyone who actually funds ordinary research. Funding small institutions is a distributed affair. Doing so will not “control” the field. Only if one source becomes the only source of funding could that arise in some ways, but many researchers will refuse to be controlled. Sifferkoll will, I predict, remain vague on how one “ensures small or no progress” by funding small institutions. Right now, the hottest activity in LENR is at Texas Tech, and IH had no control over that and did not fund it. IH has contributed to many researchers, and that work is bearing some fruit (which is, sadly, at least sometimes, that results were not as promising as might have been thought). So are they “shooting down” genuine results? Probably not. What a waste of money! Those people, if they have genuine results, will show it to others. IH cannot control the vast world of funding possibilities, not if they tried with all their resources. But they won’t try. Quite simply, that is not their business, it is not what Woodford tossed in $50 million for (promising $150 million more if needed). On LENR-FORUM these opinions are mainly represented by Mary Yugo, THHuxley (Thomas Clarke) and of course the subject of this post, Eric Walker. Sifferkoll is confusing “opinions” with an organized plan. No evidence has been shown that Walker, or any of these people, are serving any of those “organizations.” Mary Yugo is transparent, has been for a long time and is serving no organization. Nor is THH, allegedly Clarke. Walker is allegedly Baha’i, which is totally irrelevant, if true. No evidence is presented, it’s pure rumor at this point, and it is total rumor. Human being affiliates in some way with a religion. Aha! Conspiracy! I’ll say it again: Sifferkoll must go nuts reading the phone book! To really get crazy, toss in some numerology! There is only one sock puppet clearly involved here, we will come to that. The people Sifferkoll would be referring to, if there is any specificity to this, are not sock puppets at all. I’ve been dealing with socks for many years, and a classic confusion is to assume that two people with a similar point of view are “sock puppets.” Behavioral evidence is one factor used to identify socks, but it’s relatively weak, unless the evidence is much more specific, involving idiosyncratic language. It’s still also possible for someone to be a “meat puppet,” in the Wikipedia language, i.e., actually independent, but copying from or acting at the behest of another. Practically none of this is visible on the IH side. When someone is banned, it is common that they will use a sock puppet to defy the ban. The other usage of sock puppets is to create an appearance of social agreement. Anyone who cares to actually study conversations can distinguish this, because the arguments and positions will differ if the persons are real. I’ve been accused of being a sock puppet of Jed Rothwell, as an example, which was utterly preposterous, because there are very obvious differences in style and position, quite visible in a long-term study. Not to mention that plenty of people have met both of us in person, at the same time (as at ICCF-18). Sifferkoll is not specific, but the real thing going on here is that he was accused of operating a sock account on LENR Forum, and what he presents here actually confirms the claim. Ah, what a tangled web we weave! Absolute proof is rare in these situations. However, absolute proof is not required. It is relatively harmless to ban an account with few contributions and obviously disruptive participation. More possible harm could accrue if Sifferkoll were permanently banned, because a site like LENR Forum does not want to ban point of view, but to regulate civility (in a real context where the edges are fuzzy and absolute rules don’t exist.) Sifferkoll has not been, as far as I know, permanently banned, but his one or two socks were permanently banned. In the end, web sites have owners who are legally responsible. They have the right to regulate content however they choose. I argued on LENR Forum that if a site is intended to serve a community, process for regulation should be transparent and predictable. Sometimes LF process wasn’t, and the structure is still not transparent, partly due to software restrictions. Nevertheless, what happens on LF is the actual responsibility of the owner, David Nygren, who delegates power to administrators and moderators. If Eric Walker has any power, it is with Nygren’s sufferance. Is Sifferkoll lying? He actually avoids the obvious question. Was the account that of a banned or suspended user, evading the moderator action? That would be a direct defiance of site owner authority, and would often lead to a permanent ban — plus more vigilant and vigorous enforcement. Since the IH settlement there are some signs of confusions and they need to regroup and start to criticize IH as well if it would turn out (as I believe) that they are still in the game with Rossi to some degree. People do, however, spend lots of real time to respond to “someone is wrong on the internet.” Apparently, Sifferkoll has never thought out the implications of this. People — a few — spend insane amounts of time on this. As I wrote in previous post I’ve been banned by the moderator-at-large profile of “Eric Walker” at the LENR-FORUM. He puts it in quotes. I suppose there is a thin possibility that Eric Walker is using a pseudonym, though he uses it for his Linked-In account (with his apparently real photo). Very unlikely. He’s been known for years by that name with regard to LENR. Eric Walker was quite clear that he was acting in consultation with the moderation team. Recently it seems that Eric expanded his search and is banning every account that is questioning the agenda and arguments of the other accounts there. No. There are other accounts doing that with no bans. However, this can be more or less extreme, “questioning the agenda and arguments.” What Sifferkoll has done on his blog he has also done on LENR Forum, and, when continued in spite of warning, it has led to, so far, temporary bans. And then Sifferkoll attempts to avoid the ban by socking, that’s what the evidence shows. It’s not BS. It is circumstantial evidence. Sure, it is possible that someone else, presenting very similar arguments as Sifferkoll and using some very similar language, could be, then, using the same ISP, but this is not the only evidence, Sifferkoll here supplies more. “Mannerism” is his word. Rather, there is a kind of “critique” that is considered offensive on LENR Forum, and any account that does this is going to attract attention. Toss in IP and timing evidence (the same-ISP possibility does not create timing, that’s distinct evidence) and the identification becomes strong enough for the relatively harmless action of banning a low-contribution account. If an error is made, a user could complain by email, as an example. Instead, there is this smokescreen put up. Sifferkoll is implying that he was not this account, but he actually presents zero evidence that he’s not. Sifferkoll probably does not know the distinction. Testimony is real evidence. (Under oath, it is admissible in court.) It’s rebuttable, but many people will avoid direct lies. Sifferkoll has not said “I am not slashdevslashnull.” Never confuse evidence and proof. While proof may involve evidence, lots of evidence isn’t proof. What he shows us, apparently without realizing it, is that he is very, very likely slashdevslashnull. How? Hard to read, sorry. However, I can read it blown-up. Look at the comment timings. LF generates time codes used to display relative time. Sifferkoll captured this edited screen grab within 19 minutes of the declaration of ban. That’s quite fast if he was not slashdevslashnull. Moderators on LF may have additional information. There has been no mention of user agent string. This normally gives information about the specific computer and software being used, not just ISP. However, at this point, IP and behavioral information (which isn’t merely criticism of some users) was enough. Sifferkoll, by posting this image, is adding frosting to the cake. He being deliberately misleading, thinking that if it’s not proven, therefore Eric Walker is an Agent of the Vast Conspiracy. Sifferkoll does not understand how the world runs, on “preponderance of the evidence,” or, if he does, he is trolling. slashdevslashnull , we have concrete reason to think you’re a sock puppet account. We’re having a discussion about how to handle sock puppet accounts and the people who create them. This alone was additional reason to ban the account. This was a moderator doing his job. It was polite. “We have reason to believe” was accurate. He did not say “proof.” I have many years of dealing with socks on WikiMedia Foundation wikis. If this were a false identification, very simple: slashdevslashnull would simply claim that. Instead, it is an excuse to rail at the moderator. Very predictable result, exceptions would be rare: banned. I have advised many people who have been unfairly blocked: never complain about the administrator. If it’s an error, show the error, and provide assurance that there will be no problem if unblocked. It’s actually easy to handle, once one gets the idea of bitter complaint out of one’s head. Why not a complete ban? Well, Sifferkoll has complained about the slack cut for Dewey Weaver because of being a “party” in the Rossi v. Darden controversy. Yet similar slack might be cut for him. He is a major figure because of his blog. What they will attempt to do is regulate behavior. Sifferkoll, however, may eventually lead them to a complete ban. It’s his personality, his identity. What about the other account? anotherTroll. Liked slashdevslashnull’s post in the thread Clearance Items. That was eight minutes after it was posted. There are three likes on that post. The other two: Wyttenbach liked it at 9:24 pm and Roger’s was at 8:32 pm. Two minutes. Very fast. But without other evidence, Roger is not in trouble. (One of the ways of distinguishing factions is to look at likes.) However, one of the classic purposes of socks is to increase one’s apparent popularity. It’s isn’t any kind of proof, but … a moderator with access to IP information would certainly look. It’s basically dumb, unless the purpose is disruption. Among other things, Sifferkoll is a hypocrite. He complains that Eric Walker profiles are “empty,” as if this were grounds for suspicion. In fact, Eric’s profile gives his real-life location (apparently). Sifferkoll’s LF profile is not visible. Same for slashdevslashnull and anotherTroll. This proves what? Sifferkoll, (Torkel Nyberg) is indeed quite visible on the internet, more than Eric Walker. Torkel, enjoy life! You will feel much better and be more functional, in spite of various disabilities, if you stop tilting at windmills, trolling for outrage and creating endless and useless flabber. Identifying the errors and bad behavior, as you see it, of others, will never make you happy. It will not create a future for humanity worth living into. If you want to support Rossi, support Rossi! He needs help. We all need help, a little help from our friends. Good luck. This is a lot of stupid drama when a live, open, irrefutable, independent test could settle the uncertainty once and for all. It could be done black box style. Ryan Hunt of MFMP, presumably. Yes. Unfortunately I do not think so. There is always n+1 fraud scenarios that can be invented to produce FUD. This is the truth about any so called irrefutable independent test as well. There is always the ad-hom aspect on any tester. No one is immune. Basically anyone that even hints of LENR working can be called a fraudster or deceived and will be attacked on ad-hom basis. This has been shown numerous times. Rossi knows this. Sifferkoll truly does not understand, and is talking about a “demonstration,” not a fully-independent test. Key, and often overlooked, is who judges the test? Ultimately, the responsibility is in the hands of those who may be investing on its basis. If they control the test conditions, then if there are errors, they suffer the consequences, and, after all, it is their money at risk. IH was willing to invest without this, and they knew the risk they were taking. Again, Sifferkoll imagines a “tester,” a single individual. For $100 million, that is a colossally dumb idea. Sifferkoll doesn’t understand what “independent” means. It is possible for a test to be independent and still intensely assisted by the inventor, but all that assistance would not involve personal presence and control. Far too risky. How can you do a black box test on an object that is covered by industrial secret? If the part that is to remain secret is, for example, the power of the system, or how to modulate the trigger, it is obvious that without this information nobody can operate the object. This idea that the E-Cat could be tested by a third party without the presence of Rossi and without him having to reveal his secrets is completely out of reality. This is classic Planet Rossi Logic. A question is asked, “How can …?” Then a Rossi-serving answer is given, that it’s impossible. That is, the ignorance of SSC, as to what a black box text could be, becomes evidence that of course Rossi must intervene in all tests. The logical conclusion of this is not presented. If this argument were valid, there could be no independent tests without disclosure of IP. SSC either doesn’t understand what a “black box test” means, or has a restricted and very limited concept of it, that then leads to his conclusion. This is argument from ignorance, very common. “How” or “How come” are red flag words, used this way. A black box test encloses all protected technology in a boundary. Inventor intervention is permitted within the boundary. Actual inventor presence is highly questionable, but the inventor could have distinct control lines that enter the “black box” boundary and allow control within it. If this cannot be automated or delegated, however, the technology isn’t ripe, and that Rossi presence was necessary for “successful tests” shows that what I’ve called Rossi Grease is necessary. Rossi Grease is personal. It is not a set of instructions that could be followed by others. It is not patentable. It is not transferable, so what is being sold? This makes the power produced by the system very expensive, even if everything is above-board (beyond secrets, and if the secrets include, say, the actual physical characteristics of steam output, then this is not independently testable at all, SSC would be correct. The inventor also could have access to all operational data, live, including whatever he needs, such as video or audio feed. Stethoscope, anyone? Since we are here assuming that power is manipulated in some secret way, the black box includes the control circuitry. All lines entering the black box are monitored. Control lines are run through optical isolators so that no power can be transmitted through them, they only pass information. Overall power input is monitored and recorded, in detail. (That circuitry can be designed to not report control changes, this is a technical issue that experts can solve. As an example, overall input power could charge a UPS within the black box boundary, and the time constant for variations would be long. They would be, effectively, filtered out. The effect would to lengthen the test period required a bit, to show power output beyond chemistry. The weight of everything within the black box is part of the test results. So the independent testers may observe a set of inputs to the black box, specifically power input and, say, coolant water, and they may observe the output (as, for example, steam). The black box is made by the inventor as described. The testers may fuse the control lines to prevent significant hidden power from being transmitted through them. They control the entire perimeter, everything outside the black box. The control lines can be modulated so that they are constant input power, regardless of the signal. That modulation can be coded, for increased sophistication of security. However, the basic idea can be done without undue expense. Any limitations placed on them by the inventor are documented and part of any report. They may not penetrate the black box security and that is part of the function of the inventor being able to monitor the entire test with video and audio. It is possible to design control lines so that any attempt to read them will generate notification to the inventor that they are tampered with. (I actually designed a system like that, intended for high security installations. Simply bending the fiber optic cable set off an alarm. There are more sophisticated systems using entangled photons that will detect any escape of “knowledge.” But that level of sophistication is not necessary. NDA agreements and more modest measures are quite adequate to protect an inventor. What SSC is doing is providing cover for Rossi’s obvious and long-term prevention of independent testing, and his deceptive statements about it. Rossi clearly interfered in the Lugano test, the report was deceptive about that. The “independent professors” did not lie, but what they wrote created a deceptive impression, very similar to what Rossi commonly does, but … sometimes … Rossi is clearly intending to deceive, whereas the Lugano professors didn’t realize what they were doing and they thought of the test as independent, focusing only on the middle period and missing the high level of overall involvement. Wow Abd, 7500 words… That is amazing. And all of it is about me, myself and me 🙂 That is a lot of attention. I’m flattered. So, well-known blogger, often accused of being long-winded (and I buy words by the barrel), writes a long post, which proves … what? Glad it was transparent. I try. Corrections were invited. No corrections. Tentative conclusion: no errors. Sifferkoll was slashdevslashnull and probably anotherTroll, so the reality here is simple: Sifferkoll trolled with socks and was dinged for it. Rends (who is generally a Rossi supporter) has confirmed that Eric Walker acts in consultation with the LF administration/moderation team. If what I wrote was actually transparent, then what is seen in it is supplied by reader imagination, which was actually my point. Sifferkoll is confirming it, amply. This is what he does. 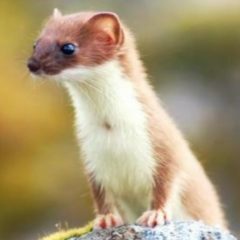 As expected, Sifferkoll is now off temporary ban on LF. Popcorn, anyone? Well, Abd. Your are long-winded. (the 7500 words thing…) and your MOTIVES are transparent… (fortunately, reading all the words is not needed to understand that). Thanks, Sifferkoll. When one is already convinced, the entire universe confirms one’s beliefs, looking at details is utterly unnecessary. Thanks for demonstrating that. Basic point: you lied, i.e, you were deceptive, and your motives may not be transparent at all, other than the obvious: to prove you are right. Very common. Good luck. You will need it. This is a common thread in most Rossi believers. They cannot defend Rossi on his own merits, so they have to dream up conspiracies or attempt to place blame on others (such as IH) no matter how outlandish. The cannot defend Rossi on his own merits as he does not provide any. So they dream up defenses of conspiracy or evil interference by others. This is classic cultish behavior. No fault is ever found with the esteemed leader and therefore ANY negative event MUST be the fault of other nefarious influences. Even proven immoral behavior by the exalted one is found “justified” because the opponents are even “more” immoral. I admit that I have a low tolerance for some posters. Ones that claim to be unbiased and “only seeking truth”, yet are among the most biased on the list, have zero respect from me. Being biased is not a problem in itself…. but when one claims to be unbiased and is totally the opposite, it is a pet peeve of mine. I suppose some are so deluded that perhaps in their own mind they are not biased, but only seeing fact…. but it is hard for me to comprehend that when comparing the data available and the posts they make! Over time, the community has been filtered, leaving a higher and higher concentration of dedicated believers. This is a general phenomenon that happens with communities which are bucking established norms. It’s a problem with the cold fusion community in general, and those of us who seek to integrate this community with the mainstream are often struggling with dedicated believers who seem to be incapable of understanding natural and normal skepticism. In order to move into the mainstream, we must understand the mainstream, not reject them and what they think as stupidity. Even if we think it is ignorant. If our goal is education, why bother with “stupids”? Abd, I think you underestimate the ‘Rossi Effect’ when you say he is “a huge distraction”. In early 2012, I made the comment that although I had ceased to believe he had anything workable, he did have one good effect, and that was to refocus the possibility of cold fusion (lenr) to the attention of those who might be inclined to investigate such things. In the years since then, the behavior of our ‘esteemed leader’ has seriously detracted from the possibility that there is anything of any real worth to lenr. Now, lenr is permanently tarred with the ‘Rossi brush’ and the two have become synonymous; lenr, Rossi, fake, fraud, aka the ‘Rossi effect’. Recent events with the litigation, brought out into the open what a cesspool of manipulation and outright fraud had been going on. Sadly, this confirms what most have always thought was the most probable truth all along. In speaking with a few associates over the years, even those who had not previously heard about Rossi and his ecat, their first response has usually been that it was most likely a fraud. Now, their casual first impression has been well and truly confirmed. Whatever good effect Mr Rossi once may have had on lenr research, has now been totally reversed to the extent that lenr has again been relegated to the playground of fools, scam artists, and fraudsters. It is now firmly back in the same category as all those scams Stirling Allen has confidently predicted over the last eight years to be ‘the next big free energy revolution’, only to fall flat on its face under the most casual investigation. In my opinion, Rossi is very much more damaging to lenr than just a huge distraction. The fact that he is now free to carry on with his next big deception, the amazing Quacks X, is not a good image to be associated with lenr research. For myself, I fully appreciate that cold fusion/lenr has always been a long shot, but with the world heading to an increasingly unhappy ending in relation to energy needs for an increasing population, I am more than happy that investigation continues into the possibility for unlimited clean energy to be obtained from any source, no matter how unlikely, and that includes cold fusion. But nothing worthwhile can be achieved by applying such slack standards of proof as have been demonstrated, tolerated and supported in this latest Rossi circus. It serves only to chase away those who might be inclined to put their money on the table to investigate such things. In 2011, I warned LENR researchers to avoid lending credence to Rossi’s claims. This was not based on a belief that the claims were fraudulent, but on, first, the well-known appearances that could lead to that idea, and, secondly, and most solidly, that business ventures fail for many different reasons. Rossi might have a real device and still the venture goes bust. Cold fusion didn’t need the egg on its face, and until and unless the Rossi Effect was clearly independently confirmed, it didn’t need more unverifiable claims. There are all ready too many. I developed “Plan B.” Plan A was that someone — Rossi or someone else — creates a LENR product that can be purchased. A cold fusion handwarmer, perhaps, that actually stays warm for an extended period. The product could be a novelty, way expensive for the practical use, but … this then becomes verifiable. Skeptics can buy one and test it. Etc. There were other possibilities besides Rossi, but none of them have become an available product. Because Plan A is unreliable, and LENR could be very important, I developed and promoted Plan B. Do the basic scientific research recommended by both U.S. DoE reviews. Even though they were, in hindsight, a bit wrong-headed about what had actually been done, the LENR community’s reaction to those reports was … disabling. Instead of noticing and acknowledging progress (which there clearly was), mostly we criticized and complained. That was politically very naive. However, the way forward, regardless of the past, was clear: research to address basic questions. No specific plan was presented to the 2004 DoE panel. So … no specific plan came out of the review. The function of critiquing the past is to identify what is missing so that it can be supplied. Specific plans were obviously missing. And I can write about this at length, and have and will. Handling the Rossi fiasco requires facing it head-on, not hiding. Scientifically, I always reserve final judgment for a future time, if ever. However, practically and politically, I will declare what I see as most likely. I have no hesitation about giving an opinion about Rossi, now that so much is known. I will treat Rossi issues as completely irrelevant to cold fusion. I remember chatting with someone at ICCF-18. He made some mention of Rossi’s amazing results. I said, “none of that has been independently confirmed.” He backed away from me as if the devil had just appeared in front of him, with horns and the smell of burning sulfur. But it was just fact (or, at least, reasonable conjecture or interpretation, rebuttable). When we trust our ideas more than we trust reality (which we never know completely), we are in serious danger. Updated with coverage of LF comment on “black box” testing. I am also adding coverage of Sifferkoll’s response to me, it’s lovely. I am hesitant to post this. Sifferkoll is not well. His attacks while harmful should not be taken seriously. Others there at LF break bans. It is quite transparent. Lets hope he gets the help he needs. Every other word is FUD. It shows his rigidity. I can only wish him the best and not be condescending when I say this. Eric Walker is extremely thoughtful always on point and they are lucky to have him. I also have thoughts about MFMP. I think now that they have actually imploded. If I was under that umbrella I would consider removing myself as the rain is a better alternative. I wish I had a better way to say this. There was a disaster with Me356 and now another one (ECCO/India) on the horizon. I wish no one in LENR any harm just the opposite. They need to slow down and think about it a bit more. Anyway good article Abd (as always). Thanks, Rigel. Sifferkoll has compound psychological disorders. He acknowledges Aspberger Syndrome. Yes, probably. That creates social dysfunction. But that’s not the whole situation. He’s paranoid. This is not some accusation made against him to win an argument. If he could recognize it, recognize how his thinking works and doesn’t work, he could transform his life. Yes, he “should not be taken seriouisly,” but he is. Mats Lewan took him seriously, even as Mats recognized the paranoid conspiracy-theory nature of his blog’s comments. He is taken seriously on Planet Rossi, and what he writes is repeated as fact. There are “facts” underneath what he writes. For example, apparently Thomas Clarke worked on some project for a major energy corporation, years ago, was it BP? Hey I know and trust someone who was a consultant to BP, she was flown to Alaska once a week to train executives. I was trained by her. Therefore proof of conspiracy to suppress LENR. There is evidence on the internet that Eric Walker was, years ago, Baha’i. Hey, Abd is Muslim! Proof of an international fundamentalist religious conspiracy to suppress LENR. There is so much proof that anyone who thinks otherwise and writes about it must be paid or totally deluded. I commented on this post on cold fusion commentary. Corrections of errors are welcome. Next Next post: Settlement Agreement?